Anna Maria Island is one of the most popular beach destinations in the state of Florida. It's location near Sarasota on the mouth of Tampa Bay beneath one of the most active sky lines in the world. Visitors are treated to big beautiful clouds and spectacular sunsets. The region also boasts an average of 350 days of sunshine per year. That's why Anna Maria Island's pristine white sand and turquoise waters are consistently rated highly among thoroughly relaxed Florida travelers every year. If you are considering Anna Maria Island for your next beach adventure, here are some hotels located directly on the island's eight miles of sand. Anna Maria Island Inn: This resort has 14 units, however only seven are beach front. AMII is located near the center of the island. Its units are apartment-style (kitchenette) and the property does accept small pets. Bali Hai Beach Resort: Bali Hai is one of the largest rental properties on AMI with 42 motel-style rooms and homey cottages. It is located on the northern half of the island near many of the popular shops and restaurants. Bali Hai does not accept pets and reservations are only accepted by phone or in person. Blue Water Beach Club: Just south of Bali Hai is Blue Water. It has 29 rentals, mostly studio and single bedroom units. Blue Water does not accept pets. It is one of the only resorts on the island that has a pool with a Gulf view. Bungalow Beach Resort: This resort is located near the geographical center of the island. It has five up-market rentals located directly on the sands of Cortez Beach. The resort has does not allow any pets. Cedar Cove Resort & Cottages: The four suites of Cedar Cove are located directly on Cortez Beach on the southern half of AMI. The decor of the units might be considered a bit dated, yet Cedar Cove offers a relaxed beach-infused atmosphere including tiki huts on the beach. It does not accept pets and do not have a pool. Coconuts Beach Resort: This resort is centrally located in Holmes Beach. Coconuts has 10 beach-front one and two-bedroom units. It does not accept pets. Club Bamboo: Club Bamboo has 15 beach-front apartments with king-size beds. It is located in Holmes Beach near many shops and restaurants. They do not accept pets. Mainsail Beach Inn: There are no luxury resorts on Anna Maria Island, however Mainsail is the closest thing. It has 12 Gulf-front two- and three-bedroom apartment-style units. No pets. Seaside Inn & Beach Resort: Seaside Inn has 10 units located on Holmes Beach near the center of the island. Most units are studios or one bedrooms, but it has a Gulf-front penthouse. Seaside doesn't not allow any animals. 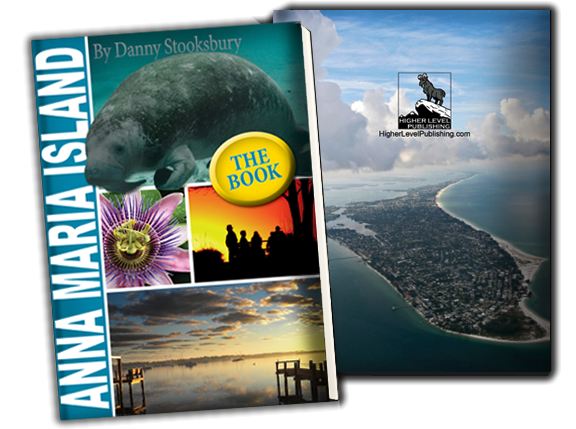 Get to know more about Anna Maria Island's incredible people, places and things with "Anna Maria Island: The Book" This is great way to get to know the island. Plus, it's the perfect souvenir or gift for anyone who loves Anna Maria Island, FL. Order now for 99¢ shipping in the U.S.